When you use our NCOALink (FSP) Services, you'll notice an instant boost in data hygiene and the deliverability of your mail. That's because NCOALink investigates your mailing lists for the individuals, families and businesses that have moved and filed a Change of Address notice with the U.S. Postal Service in the last four years. Don't mail to a previous address when you can get the new one quickly and easily. As of Nov. 23, 2008 the minimum frequency for Move Update processing will be 95 days instead of 185 days. This requirement applies to all Standard Mail; letters, postcards, flats, and parcels, along with automation-rate and presortrate First-Class Mail. NCOALink processing is the most cost effective way to meet the USPS® Move Update requirement. The change in frequency for Move Update processing is part of Postmaster General John Potter's attempt to reduce UAA (Undeliverable As Addressed) mail 50% by 2010. Mailers who don't comply with the new regulations might see fines, which could more than double their postage. 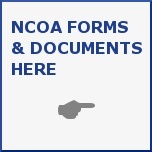 NCOALink FSP Processing - updates your list(s) using 48 months of data from the database of Change Of Address (COA) forms filed with the Postal Service. DPV Processing - validates address information at the physical delivery point level. This will allow you to identify Undeliverable As Addressed (UAA) mail prior to mailing. LACSLink Processing - updates addresses that have changed through the Locatable Address Conversion Service (LACS). SuiteLink Processing - updates business addresses with secondary information when known. Suppression - Provide a Do Not Mail / Opt-Out List and we'll Suppress on Address or Name/Address. Duplicate Elimination - Processes List to Eliminate Duplicate Addresses or Names at an Address. List Conversion and Consolidation - Provide Multiple Data Sources (Files) and we can convert and consolidate to one format. ARS (Address Resolution Service) - Use of licensed and Proprietary Databases to resolve Critical Errors in Addresses.